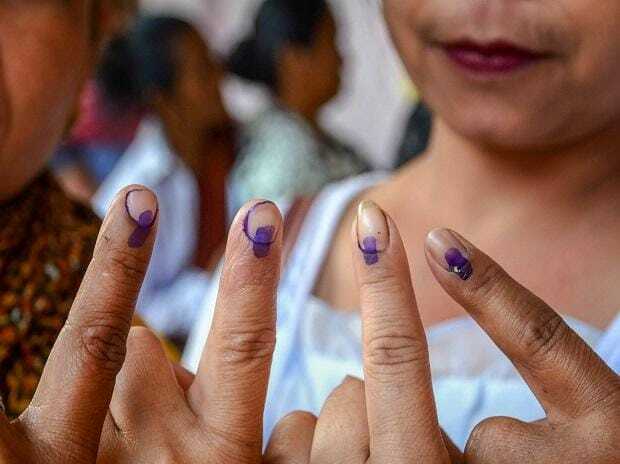 2019 Lok Sabha election: Why are 400,000 women missing from the voter list? Odisha recorded 66 per cent voter turnout in the first phase of the twin Lok Sabha and assembly polls with voters defying a blazing sun to cast their vote. In the first phase, people voted for four Lok Sabha constituencies and 28 assembly segments in the state. The Parliamentary constituencies that went to polls were Nabarangpur, Koraput, Kalahandi and Berhampur, all in southern Odisha hinterland. Elections are being held in Odisha simultaneously for 21 Lok Sabha constituencies and 147 assembly segments in a staggered manner, spread over a month in four phases. The first phase of elections will decide the fate of 26 Lok Sabha and 191 assembly candidates. “About 66 per cent polling has been recorded by 5pm. Polling today passed of peacefully. We are collating the data where voters have boycotted the polling,” Surendra Kumar, chief electoral officer, (Odisha) told mediapersons. Despite an impressive voter turnout, the threat of maoists loomed over seven polling stations in Naxal-infested Malkangiri where voters refrained from turning up at these booths. Kumar claimed that the polling in the first phase was more or less foolproof with the rate of failure of control units, ballot units and voter verifiable paper audit trail (VVPAT) machines pegged at less than 1 per cent. “The rate (of failure) is much below the average rate of failure of EVMs and VVPATs. We are still collecting the exact figures,” he said. As many as 62 ballots units, 65 control units and 169 VVPATs were replaced during the day. Out of 7,233 polling booths, web casting was conducted in 730 stations. The Election Commission had identified 2,375 sensitive polling stations in the first phase. A total of 47,805 election officials, including 690 women polling officials were engaged in the first phase. The next three phases of polling in the state will be held on April 18, April 23 and April 29.